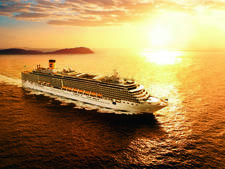 Costa Cruises' ships fall into two categories that I call "Before Joe" and "After Joe" -- the Joe in question being Joe Farcus. Farcus is best known as the designer of Carnival Cruise Lines' famously wacky and theatrical ship interiors. 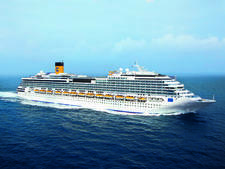 He's been importing the Carnival sensibility to new-builds in the Italian fleet since the debut of Costa Atlantica. 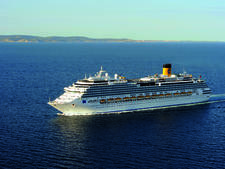 Costa Victoria, however, is a ship from the cruise line's "Before Joe" era and, as such, its decor is more Spartan, lacking the neon-tinged "wow" factor for which Farcus is known. 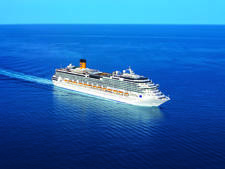 It's an older ship -- launched in 1996 -- and, even though it had a major refurbishment in 2004 (adding 242 balconies and mini-suites), it's still a bit behind the times. The layout is strange by today's standards, with the spa and gym buried on Deck 6 and what passes for a theatre -- it's more of a lounge with a big stage and terrible sight lines -- at the back of the ship. The balcony cabins were an excellent addition in this day and age, but it's a shame they didn't spend a bit more money on modern conveniences while they were at it. 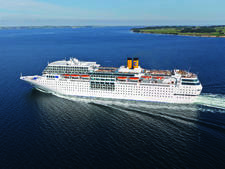 Passengers are given both a room key and an onboard charge card; we would have preferred to have one digital room key that doubles as a charge card, as is available on many cruise ships. A programmable in-cabin safe with a numbered keypad would also have been nice. Costa Victoria's safes are locked and unlocked with a charge card -- if you're lucky. It took 10 minutes of frustrated swiping to lock mine one day. 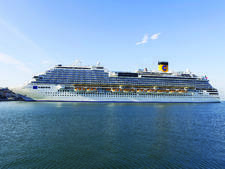 It would also be nice if Costa invested in a new machine to swipe you on and off the ship -- one that brings up your picture when you insert your card, so you don't have to carry around a photocopy of your passport. It's not heavy, but it's just another thing to forget -- as, indeed, I did once. On the plus side, the ship has so much open deck space and so many sun loungers that I can't imagine you'd ever need to do a dawn dash to grab a bed. Because this is a multinational ship -- mostly Italians, but there were at least seven other nationalities on my cruise -- you should be prepared for endless announcements in different languages (which makes for an especially tedious boat drill) and a few cultural howlers. The Italians' inability to queue upset some Brits, and Mediterranean laissez-faire attitude takes some getting used to. "Just coming" invariably meant a 15-minute wait. That said, the international crew were friendly and efficient -- three nights running, a bucket of ice was delivered to my cabin, less than 10 minutes after I had called room service -- and crew members' abilities to switch between languages never ceased to amaze me. 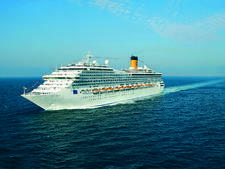 Costa Victoria was a bit like a floating United Nations. 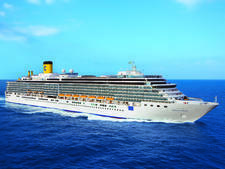 Of the 1,962 passengers on my cruise, the vast majority (1,124) was Italian -- no surprise, given Costa's Italian roots. 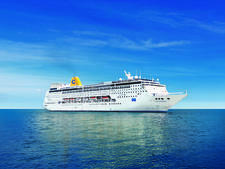 (German was the next most represented nationality with 107 passengers.) 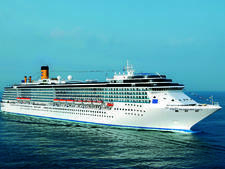 There were also Spanish, French, Dutch, British, Japanese and Russian passengers. It gives the ship a more European feel, but it can lead to a clash of cultures and make it difficult to strike up conversations, since you never know if the person next to you will understand what you are saying. It also gives restaurant managers headaches when they allocate tables for dinner, as they have to make sure they are not mixing passengers, who will not be able to converse -- a job they do with consummate skill, if my experience is anything to go by. 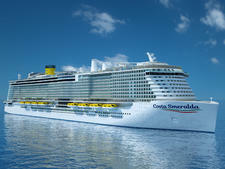 The dress code on Costa Victoria was very relaxed -- the unexpected bonus of cruising with people from all over Europe. As the English-speaking hostess explained, "Gala" is the most posh evening, but each nationality has its own interpretation of what that means. On our Gala night, I spotted people in black ties and slacks with sweaters. Most of the time, smart casual is the norm. 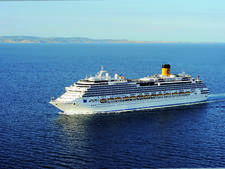 Rather than optional gratuities, Costa Cruises has mandatory service charges, which are added to each account and cannot be removed onboard. If you object to paying, for whatever reason, you have to fight that battle when you get home. 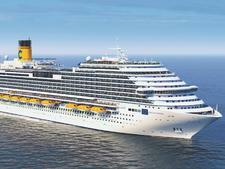 The charges vary, depending on the length of each cruise. 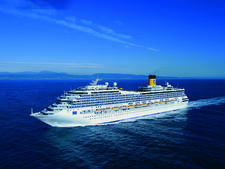 On Costa Victoria's seven-night Jewels of the Emirates cruises, adults pay €45.40, and children (ages 14 to 17) pay €22.75. There is no charge for children under 14.